A Los Angeles Superior Court judge has denied the release of hours of recorded interviews with one of the convicted killers in Charles Manson’s cult. The recordings have never been made public, and the Los Angeles Police Department said it only recently obtained them. 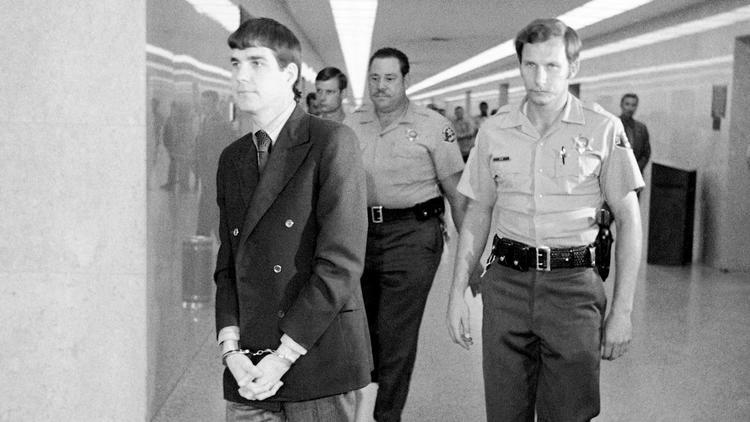 An attorney for Leslie Van Houten, who was convicted of killing Rosemary and Leno LaBianca, has been trying to unseal the Watson interviews as part of Van Houten’s bid for parole. But the Los Angeles County district attorney’s office has fought the tape’s release, saying that Van Houten cannot obtain evidence after her conviction because she does not face a sentence of death or life without parole. Prosecutors also say Van Houten, 68, could get evidence that would have been available only at the time of her trial. Because the tapes were protected by attorney-client privilege then, Van Houten would not have had access to them. In his ruling issued Tuesday, Los Angeles Superior Court Judge William C. Ryan agreed with prosecutors, adding that after reviewing a 326-page transcript, he did not find the content of the tapes relevant. Pfeiffer said he planned to appeal the ruling, and he has said in court papers that the tapes could help Gov. Jerry Brown make a “more informed decision” as he weighs whether to release Van Houten, who was again granted parole, from prison. The district attorney’s office did not immediately respond to a request for comment. The D.A.’s office had claimed that the tapes’ release would compromise ongoing investigations, but an LAPD detective told the judge that no open investigations would be undermined by the tapes’ release. Last week, a panel of state commissioners granted Van Houten parole. The panel’s decision is undergoing a legal review, and in about four months, the governor will have to decide whether to uphold, reverse or modify the parole decision. Brown also could send the decision to a full review by the full board of state parole commissioners. Van Houten was not part of the Manson followers who on Aug. 9, 1969, stormed the Benedict Canyon home shared by pregnant actress Sharon Tate, 26, and her movie director husband, Roman Polanski, who was not at home at the time. Tate and four others were stabbed and shot to death that night. Manson, 82, and other acolytes involved in the slayings are still behind bars. Watson and Patricia Krenwinkel each have been denied parole several times. Susan Atkins, who was denied parole 13 times, died in prison in 2009. The Los Angeles County district attorney’s office has fought the tape’s release, saying that Van Houten cannot obtain evidence after her conviction because she does not face a sentence of death or life without parole. Can you translate these paragraphs into plain English? Paragraph one is why the judge denied the release. DA argued that post-conviction discovery is limited to cases with sentences of life without parole or death. Leslie is serving life with the possibility of parole and therefore not entitled to discovery. Leslie Van Houten should have been released 30 years ago. Her lawyer should be arguing that murderers that commit crimes far worse than Van Houten are released every day, denying Van Houten's release is a violation of the "equal protection" clause of the United States Constitution. Another argument is having her release blocked by a politician, in this case, the Governor of California, is a violation of the "separation of powers" clause of the United States Constitution. Van Houten and Bruce Davis are the definition of "political prisoner". Finally, Van Houten and Davis haven't been a "threat" or "risk" for decades. Let me guess, you believe that Charlie should never be paroled though, right? Cielo pretty much got it. LVH, received a fair trial with competent representation, during a trial in which the DP was not a factor. Her attorney had the means, and ability, to provide an adequate defense. The issue of the tapes was not in play during her trial, their existence was not known to her attorney, the DA, even if they knew of the tapes, would not have been required to turn them over as part of discovery. Privilege had not been waived ( I could be wrong on the date though) and as such, the content was not discoverable. Further, as is the case in other non-capital cases, appeals are not automatic, different rules apply, and her claim did not rise to the occasion to warrant release. It was a Hail Mary attempt to get the contents released, at best. Our judicial system does not operate on a curve, nor should it. Every case stands on its own, as do the facts of each case. It does not matter that other inmates may have been paroled sooner, different case, different facts. If there was merit to the claim, this case, and every similar sentence would have been heard by the US Supreme Court already, and it would have stood. There is no issue of constitutionality regard her parole, nor on the legal process that California has put into place. There is no separation of powers conflict, in spite of what you would like to believe. Thanks Cielo & Dill! I wish I could understand "plain English". LOL. Sooo...if the tapes weren't applicable to Leslie's defense during her trial, then why would her NOW attorney try to get them to help her, which, according to the Judge, they wouldn't anyway? I mean this guy has been fighting to get these tapes released for a long time now. George Christie, the former president of a "GROUP," 2 questions regarding The Charles Manson Case & Saga. "I lived in what I call the "Dark World" for quite a long time. It's how I got to know Rocky Bateman in a "round about way," and how Rocky eventually became my nephew-in-law through marriage. Rocky Bateman also lived in the "Dark World" for quite a long time. 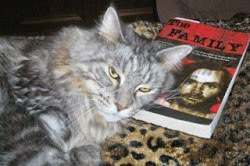 And, with "people" connections," connected to Rocky, it's how I "fell into" being told about "happenings" (plural) at Spahn Ranch when Charles Manson and his so-called "Family" lived there. Serious Stuff. This happened after my January, 1969 encounter with Charles Manson." Whatever a person wants to think of George Christie, negative or positive, that's their opinion. to go on The History Channel and write books. Charles "Tex" Watson tapes? Hmmmm? Just don't make the mistake that sag works there, he is most likely a resident. Let me ask you a questiom and be HONEST, do you think Mario Nitrini is sane? Does it matter ? Honestly. let me ask you a question an be Honest. Do you realize the you are a racist ?